I was really intrigued when you told me that your inspiration for your story would be from two sources: Captain Frederick Marryat’s novel Peter Simple and Jane Austen’s Persuasion. Honestly I was expecting the further exploits from The Very Secret Diary of Henry Tilney, so this was a jolting surprise! After you explained that Peter Simple was an Age of Sail novel written by an English Royal Navy officer, it all started to make sense. I knew that in addition to our shared passion for our “dear Jane” that you were a huge Captain Horatio Hornblower fan who had studied naval history and lore from the era. 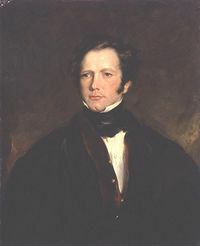 I was astonished that you were able to pull a plot element out of Peter Simple about sailors receiving family letters and selling them to their shipmates for entertainment and then make the leap to creating your story, “Heard of You,” about the early career of Austen’s Captain Wentworth and Admiral Croft. I remember reading the first draft and shaking my head in amazement at how you pulled it all together. I was truly touched by the story and I hope that readers will be too. Persuasion, Jane Austen’s last completed novel before her death in 1817 at age forty-one, is full of the Royal Navy. She had two brothers who served their entire careers helping Britain rule the seas during the Napoleonic Wars and into the mid-nineteenth century. Molland’s Circulating Library, your great online resource for Janeites, has an unabridged text of Jane Austen’s Sailor Brothers, by J. H. Hubback and Edith C. Hubback (1906) which is an excellent biographical account of Jane Austen’s brothers Francis and Charles’s naval service. It is very interesting reading for those who want to know more about the Austen family and their influence on Jane’s writing of Persuasion. An Age of Sail adventure tale featuring Jane Austen’s brother Francis William Austen (who eventually rose to the Royal Navy’s highest position, Admiral of the Fleet) as the daring 26-year-old commander of the HMS Petterel sloop. It depicts the true events of the March 1800 action off Marseilles that earned him promotion to post-captain. There just might be more of Francis Austen in Persuasion’s Captain Wentworth than you ever imagined! In Jane Austen’s Persuasion, we are told that Admiral and Mrs. Croft married a shockingly short time after their first meeting, but that they had heard a great deal about each other before they met. How could they have known each other so well? In the midst of war, an unlikely Cupid brings together one of Austen’s best married couples in a story inspired both by Persuasion and by Captain Frederick Marryat’s novel Peter Simple. Thanks again Mags for your wonderful story. I was happy to see so many semicolons in it! It made me long to read another C. S. Forester novel, and I hope that readers come to know the Royal Navy and Jane Austen characters better from it. A life-long acolyte of Jane Austen, Laurel Ann Nattress is the author/editor of Austenprose.com, a blog devoted to the oeuvre of her favorite author and the many books and movies that she has inspired. 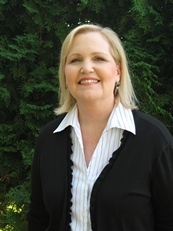 She is a life member of the Jane Austen Society of North America, a regular contributor to the PBS blog Remotely Connected and the Jane Austen Centre online magazine. An expatriate of southern California, Laurel Ann lives in a country cottage near Snohomish, Washington. Visit Laurel Ann at her blogs Austenprose.com and JaneAustenMadeMeDoIt.com, on Twitter as @Austenprose, and on Facebook as Laurel Ann Nattress. 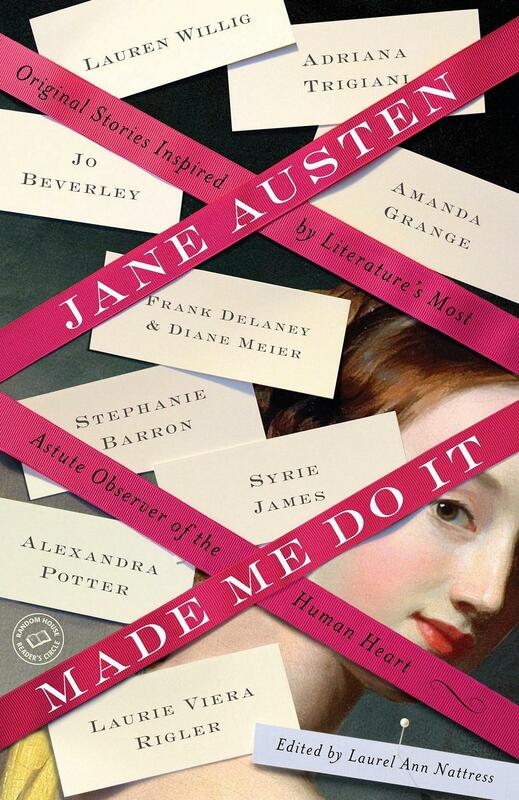 Enter a chance to win one copy of Jane Austen Made Me Do It by leaving a comment by November 6, stating what intrigues you about reading an Austen-inspired short story anthology. Winners to be drawn at random and announced on November 7. Shipment to US and Canadian addresses only. Good luck to all! I love Age of Sail and appreciated this blog posting very much. I’m glad to know that this book has a few samplings in it. The thing that has me lured in by this book is that several of my favorite authors are there and that it is about Jane Austen’s stories and herself. Thank you for the giveaway opportunity. What a fun post. As for reading this book, honestly, I see so many authors whose work I know and love that I can’t help but want to read the anthology! Don’t enter me in the contest but I just wanted to say how much I really enjoyed both of these stories. LOVE age of sail fiction. Life aboard a ship of the line has fascinated me for quite some time. Both of these stories were amazing in the amount of research and the style in which they were written were of such high quality. Congrats to both Mags and Carrie Bebris for 2 very fine accomplishments. Anything Jane Austen inspires me! I love to read anything that is related to her or her books. What can I say I’m a fan. I love the idea of reading various stories that flesh out secondary characters of the Austen oeuvre and I did especially love the Crofts in Persuasion; I am particularly looking forward to seeing how their story works out for it sounds interesting. I like the Crofts, too. They are just such a great team. I ran across something in another novel (Peter Simple, as Laurel Ann described above) and the whole thing just clicked for me. Oh, for starters, I’m now dying to read “Heard of You”! We are going Persuasion with my book group next weekend. I’ve always enjoyed Austen’s portrayal of the Navy as a way to get ahead for smart young men, such as Captain Wentworth and Fanny Price’s brother. Melinda–If that is a subject that interests you, allow me to strongly recommend Jane Austen and the Navy by Brian Southam. He talks a lot about how Austen showed her support for the Navy in her books. It’s really quite good. I think I’m due for a re-read. I read JAMMDI cover to cover on the long flight home from the AGM in Fort Worth and loved it. There is a wide range of clever (and touching) and creative ideas in these stories and lovely writing. Plus, the various authors really know their Austen–whether it’s her works or her life and times. I am at present savoring each short story from JAMMDI and, Margaret, I LOVED Heard of you! It is so romantic, plausible, and authentic that it could be squeezed into Persuasion without anyone suspecting it wasn’t written by Miss Austen. Thanks, Jeffrey! What a kind thing to say! And I’m really glad you enjoyed the story. I tried to make it fun and lighthearted. Heard of You is one of the absolute best stories in a superb anthology. (It’s hard to say that stuff because I’m in it but it’s TRUE!) I’m fascinated to know that Mags is a Horatio Hornblower expert fan, but it explains a lot – I wondered how she was so uncannily at ease with everything naval! More than that, though, Heard of You is just so clever, the way it brings the Crofts together is the pinnacle of perfection in sequel/prequel art (of which I’m firmly convinced there is such a thing). It is pretty good, isn’t it? I think we can say that with pride as contributors. Laurel Ann did a great job rounding up a stellar group of contributors. Thanks for the kind words, Diana–it is really appreciated. I really enjoyed “Heard of You.” Glad Persuasion was well represented in the anthology! Thank you, Anna! I was really glad to see the diversity of the contributions. It was a little bit of everything. I Mustconfess, I never heard the phrase Age of Sail, nevermind having read any of it… My curiositty is peaked! Off to the library with me! I’m intrigued by the line-up of authors, from the ones whose names are very familiar to the one who has an odd fascination with steamed puddings (and you know who you are! 😉 ). I kinda adored “There Must Be Murder” and am very much looking forward to some new Very Nice Stories. Wait, what? Fascination? I just know a good board name when I hear it, that’s all. Thanks for letting me share my thoughts with your readers Mags. Age of Sail rules *cough* and so does Jane Austen! I’d love to win this book because I like anything Austen. I also like Amanda Grange which I have heard is an author in this fabulous book. Thanks for the giveaway! So excited for my friends – congrats on this lovely anthology! Wish I could have been there with you all in Ft. Worth. I just read Mags’ story in the anthology and loved it. Thought it was so well written and maintained the correct tone. Didn’t know that sailors would purchase letters from others, was it because they were lonely and desperate for anything to read? And a 30 yo midshipman , wow! Thanks for such a great story that is now piquing my interest in learning more about sailors.